<tatr> and Gamall had the stone erected in memory of Þórðr, their father. 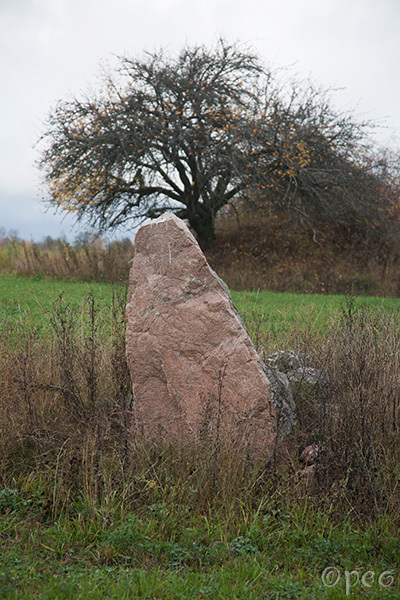 This rune stone is standing in a field, some 50 meters from the road. For a close-up : point at the picture.